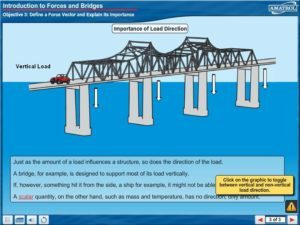 Structural Engineering 1 introduces civil engineering, introduces forces and bridges, and bridge design and construction. 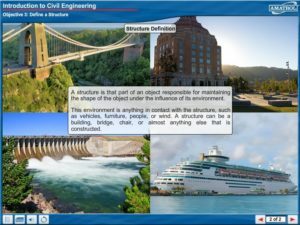 To introduce civil engineering topics on civil engineering careers, types of structures, structural elements and stability are covered. 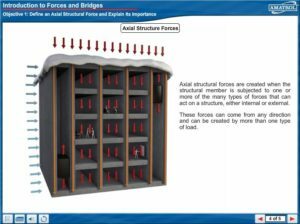 Topics on force vectors, free-body diagrams, and bridge materials and construction will come together to introduce forces and bridges. Also covered are topics on bridge design, truss bridges, and bridge design and research.